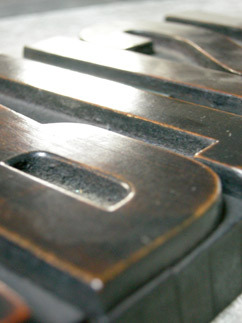 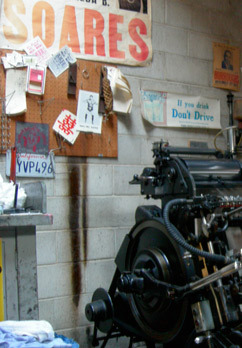 A Sneak Peak into the making of TPG8 and into the life of James D. Lang, the owner of Horwinski Printing Company. 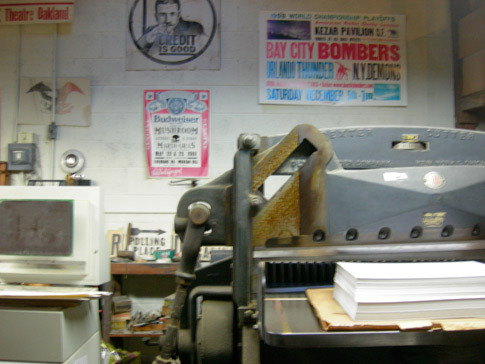 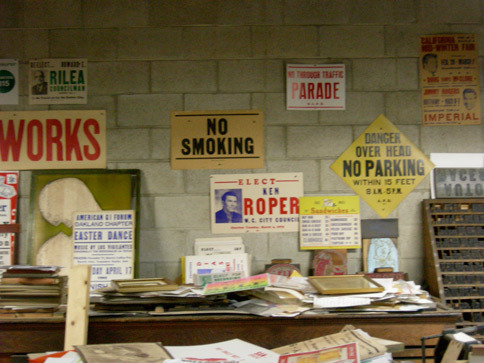 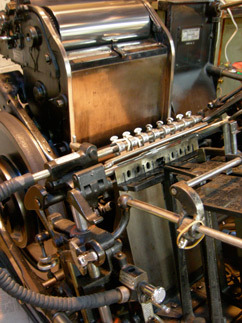 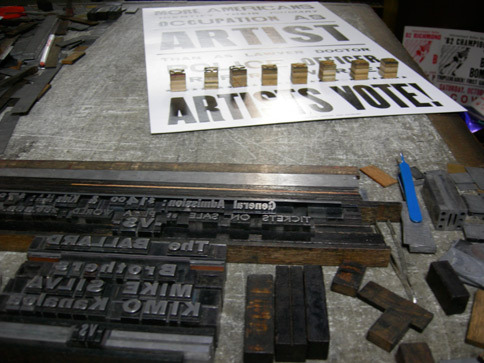 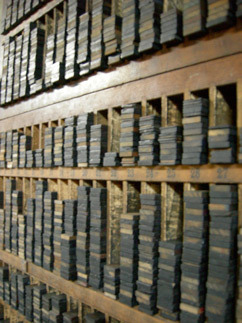 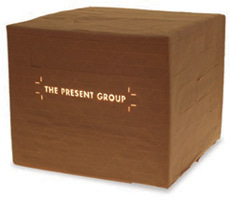 Founded in 1906 and dedicated to the craft of letterpress, this business has a long history of working with artists, unions, politicians, and businesses of all sizes to spread their message. 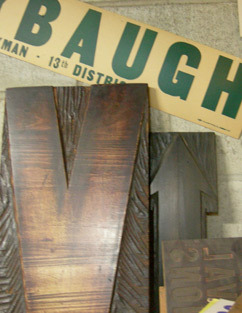 Just to put it in perspective, that V is about 2 1/2 ft. tall!